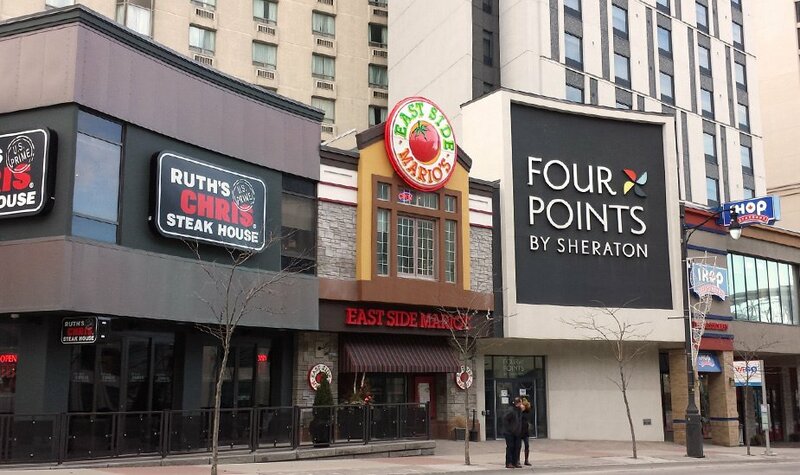 Get the best steak in Niagara Falls, Ontario at Ruth’s Chris Steak House. We serve the best USDA Prime steak that arrives sizzling! A spacious bar and multiple dining rooms that are ideal for that perfect meal. Our Niagara Falls steakhouse offers a dining experience you and your guests will long remember. Within the beautiful Sheraton Four Points Niagara Falls Canada. If you would like to reach us by phone please call 905 357-1199. For the most up to date information please visit Ruth Chris Niagara Falls.